Ranbir-Deepika's Tamasha 1st Day Collection Prediction, Expected to start well! 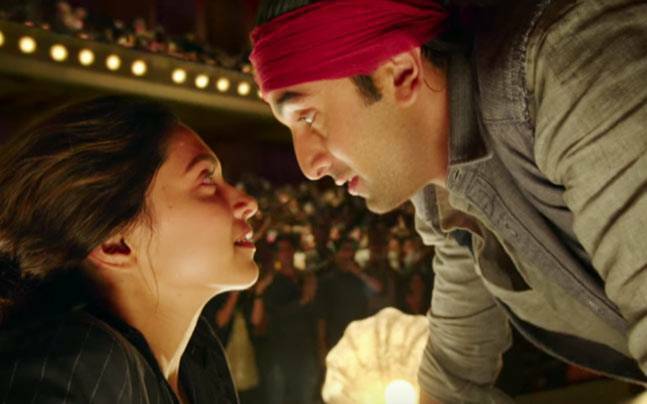 Ranbir-Deepika’s Tamasha 1st Day Collection Prediction, Expected to start well! After two years interval, the Yeh Jawaani Hai Deewani jodi is back to make audience fall in love with them again. Yes we are talking about the very charming & ofcourse the heartthrob Ranbir Kapoor and ravishing Deepika Padukone. After their blockbuster movie YJHD in year 2013, both stars are coming back with new romantic drama movie Tamasha. The movie is directed by the very well known Imtiaz Ali who has also given much appreciated movies like Rockstar, Cocktail etc. Tamasha has recorded decent craze of audience for its advance booking and as per the reports, it would have the opening day occupancy of more than 60% across the country. After giving two flop movies in this year, Ranbir has very positive hopes with this coming one. Both the stars are positively trying to promote their movie to more & more people these days. Along with them, Bollywood critics also have good hopes with Tamasha and according to them it will take a good start at box office. Music of the Tamasha has been composed by the living legend AR Rahman and is being liked by everyone. Both the stars have huge fan following across the globe and their presence in the movie together is enough to set much hype among audience. The movie is being released tomorrow worldwide on around 2700 screens under the banner Nadiadwala Grandson Entertainment and UTV Motion Pictures. It is expected to gross an excellent amount of 11 – 11.50 crores* at domestic box office.